An HTC exec may have inadvertently confirmed that Windows Phone 7 is coming in October. In an apparent slip of the tongue, Mohammad Kais Zribi, HTC's regional director for the Middle East North Africa region reportedly told the Dubai-based newspaper, Gulf News that HTC would be launching Windows Phone 7 devices in October. "We will be launching Windows Phone 7 handsets next month," Zribi said Wednesday. Zribi also added that HTC would "five more [device] models by end of the year." 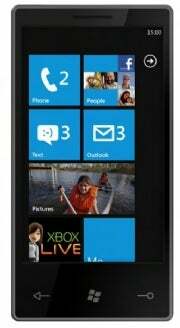 Microsoft has not officially announced when it plans to launch its Windows Phone 7 handset. Until Tuesday, Microsoft and its manufacturing partners had remained tight-lipped about when the new smartphone operating system would become available. Current rumors based on reports by the blog Pocket-Lint said Microsoft would launch the device on October 11 during a press event in New York. When Microsoft announced Windows Phone 7 in March the company only said devices running the new OS would be available by the end of 2010. Whatever the actual launch date may be there are signs that Windows Phone 7 is due for release very soon. Microsoft released beta versions of its third-party developer tools for Windows Phone 7 in August, and will start accepting submissions for the Windows Phone 7 Marketplace in early October. The final version of Windows Phone 7 software was released to manufacturing (RTM) on September 1. On Monday, Microsoft announced its Zune desktop software would be available in more than 20 countries this fall. Windows Phone 7 devices will use Zune to sync with desktop PCs similar to how the iPhone syncs with iTunes. Thus wider availability of the Zune software is an important milestone for the Windows Phone 7 launch. This isn't the first time news of an October launch for Windows Phone 7 has come out of Dubai. On Monday, the Khaleej Times, a Dubai-based English daily, reported that HTC's Windows Phone 7 Middle East launch would kick off during GITEX Shopper & Consumer Electronics Expo in Dubai in late October. More HTC phones on the way? Another nugget Zribi dropped in his interview with Gulf News is that HTC would launch five more devices before the end of the year. It's not clear what those new models might be, how many would be running Windows Phone 7, or how many of them would be available to U.S. customers. Nevertheless, it sounds like HTC is getting ready to announce a stream of new devices in the coming weeks.